The former Westminster City Hall Charing Cross Road. Served in the Royal Naval Reserve and was injured on a number of occasions, including the loss of an eye. Wounded in action in 1915 when a fragment of a 7lb shell from a trench mortar went into his chest, missing the jugular vein. Harry was born in Marylebone in 1868 and was educated at Archbishop Tenison’s School where he excelled at cricket. At the age of 17 he joined the family printing firm of George Pulman and Son Limited rising through the firm to become Managing Director. He became a member of Westminster City Council and was granted the Freedom of the City of London on 14th November 1911. Harry was a long serving territorial soldier with 25 years service, for which he was given the Long Service Medal and the King’s Coronation Medal. 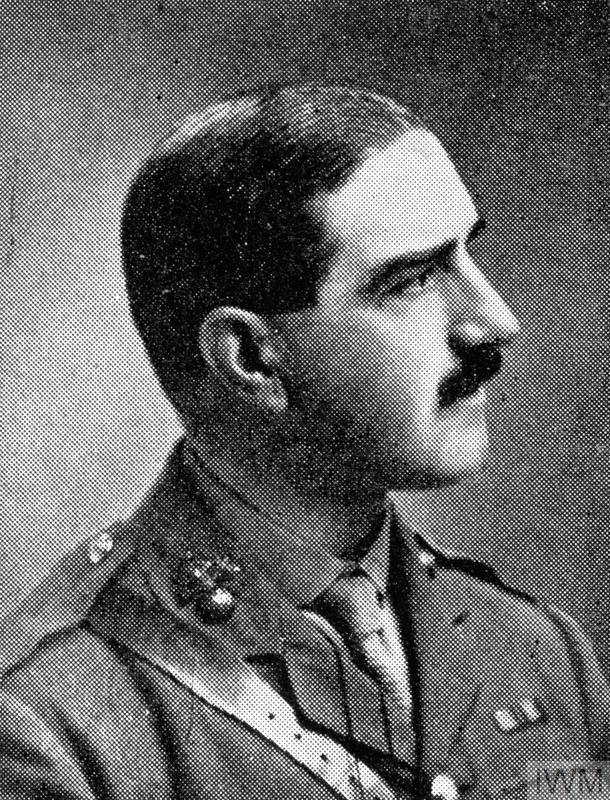 In September, 1906, he attained the rank of Captain when he joined the Oxford & Bucks Light Infantry as a territorial officer. Councillor Harry Pulman was first elected to Westminster Council for Regent’s Park but in 1912 was returned for the Pall Mall Ward. He served on a number of Committees notably Works Committee and Highways Committee. 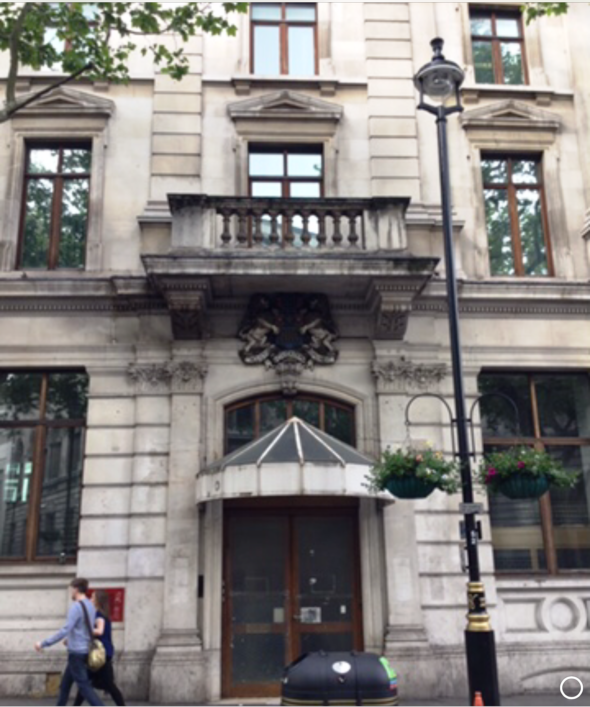 He encouraged a number of Westminster Council employees to join him in the 3rd (City of London) Battalion, Royal Fusiliers when war broke out in August 1914. He married his fiancée Rose Fordham that very same month. 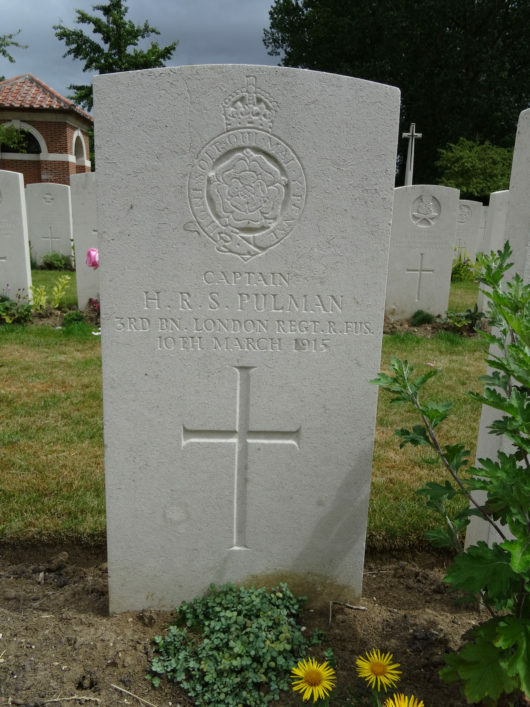 “The last thing that I saw of him he was waving his arm encouraging his men to charge”. Two weeks after his death, on the morning of the 25th March 1915, a memorial service for Captain Harry Pulman was held at the church of St James, Piccadilly. This was attended by the Mayor and members of the Council, who paid themselves for a brass memorial tablet to him subscribed for by members of the Council to be fixed to the wall of the Council Chamber in Charing Cross Road. As with the main Westminster Council staff memorial this too has subsequently been lost. He served with 9th Battalion Duke of Wellington West Riding Regiment. He was taken prisoner of war along with his entire headquarters staff on 25 Mar 1918.